Beauty and the Beast, characters, detestable characters, Game of Thrones, interesting characters, Phantom of the Opera, the Beast, The Goblin King, the Prince, what makes an interesting character? 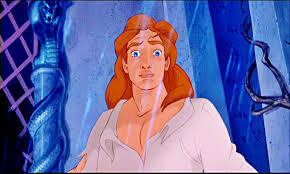 I, like Belle, have fallen in love with the Beast. Which means that everyone at Disney has done their job, as has every writer who has re-imagined the tale. Although, I am fond of Rose Daughter by Robin McKinley because the Beast is still a Beast when the novel ends. But it’s wonderful to get invested in a character; I think that it is a mark of a great writer; if I am invested in the character (s), I will continue to buy books and read the author, thus putting more money in the author’s pocket. I don’t know if there is an exact formula for these characters. I know that they should be multi-faceted, well-rounded characters. Characters that are a little crazy, a little obsessive are also very interesting. I’m in love with both the Phantom of the Opera and the Goblin King; both could be labeled as more than a little obsessive. If my favored character dies, my heart should break ; I shed real tears for Sirius Black and Remus Lupin. On the other side, I can’t entirely pin down what makes a character dis-likable either. They shouldn’t be overly good or overly bad. That’s boring. Completely normal is boring too. I don’t need to read reality. I like to read fantasy. Personally, I find nearly everyone in Game of Thrones (the tv series, haven’t yet convinced myself to read the books) boring and one-dimensional, plus Martin kills off characters the way I kill a bag of chips. What’s the point in investing energy into a character if the good ones are killed off, the baddies aren’t punished and the whiny ones get too much screen time? If I wanted that, I would watch reality TV, which I also find detestable. Okay, I find myself liking Tyrion Lannister; I had to wiki him to make sure he lived through the aftermath of the Joffery debacle. And did anyone else have a party when he died? I did. I also dislike Bella and Edward. It’s Romeo and Juliet- we didn’t need multiple books to get there. My personal favorite? And Buffy staked Edward, the end of Book One. At the heart of it, characters should be interesting; readers should connect to them, find them enjoyable and want to know the characters as real people, even if the character is not defined as good. Maybe slightly bad is okay. And characters should grow and change, adapt to new situations. And definitely a little bit crazy.